Augmented Interactions improves the player's connection to the world by animating item interactions. Could you make an white list in the config files, so items will be treated like vanilla animated items. So if i have shears from another mod that i can add that item to the config file. Or flint & steel or something else. Btw if it’s hard to make a modded item wait before the animation ends before the action happens could you add a config option that doesn’t slow down the actions of vanilla items so they are balanced with non-vanilla items? Basicly mod interaction but the players has to fill it in themselves. Potential compatibility with Inspirations would be the animation for filling/draining cauldrons could have its particles different depending on what is being drained/filled, to work with the ability to brew potions, stews, and soups from the Inspirations mod. The only versions supported currently are 1.11 and 1.12, sorry for the inconvenience. Alright, but are you going to support 1.8.9? Please make a animation when splashing a splash potion/drinking a potion? 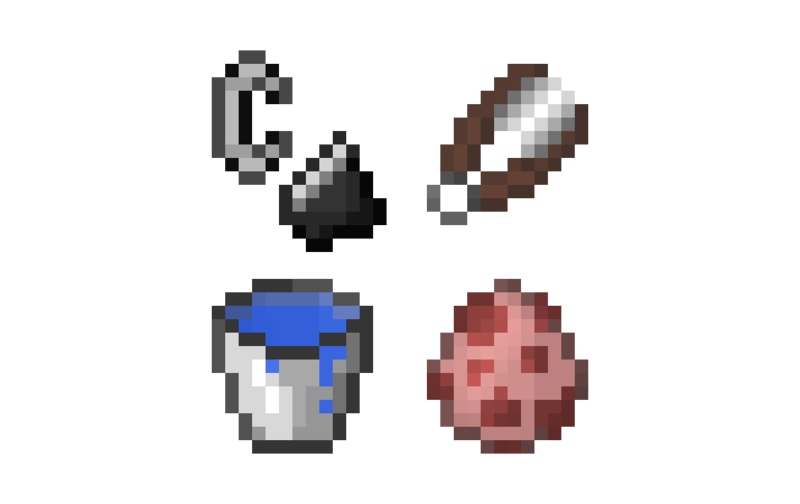 and a blood animation when you hit a entity. No, outdated versions will not be supported. @pau101 I saw that you updated the github build to 1.12 so I tried to compile it and tested it in 1.12.2. I think it is stable enough to be released? or are there any bugs still that prevented it from happening? Great mod by the way. A record jukebox animation is in progress. That's great that another anim is in the works, I think minecraft's animation is too bland, one thing I notice though is that the items doesn't render during the animation sequence in third person. I just don't know if it is only in my end. If it is a bug then I will create an issue as a reminder. I know the animation is working in third person because there's a delay in the actions I make in the items animated by this mod. That is the intended behavior. But is there a possibility that a third person anim can be created or is it the rendering class that is making it hard to apply anim to both first person and third person? cause I think it will have slight annoyance for multiplayers as other people can't see the anims but can only see the delay. Anyways it's nice to see that you are already working on the jukebox animation. If only I have that skill in programming, it's just too advance for me to contribute something coding wise. I may add third person animations in the future but for now I've just released a version for Minecraft 1.12.x with the jukebox animation. It's nice to know that there's a chance the 3rd person anim can be implemented. I've been following your github page for this mod so I've been updated by your commits. Third person would be awesome, especially as a potential server side mod, so you are not just limited to see yourself. Modpacks with friends, either semi-vanilla or fully fledged, would look and feel so much better with such animations. That's a thing I love of mods with similar approach like RealBench, which show you in real time in 3D what others are crafting.